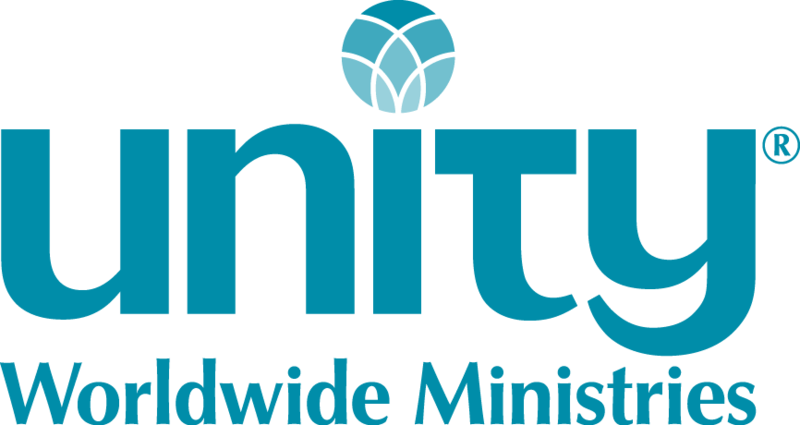 Welcome to Unity Worldwide Ministries' curriculum page! Below is a listing of curriculum series available through Unity Worldwide Ministries. In our Shop, you can learn more about the curriculum product and required resources, see the scope and sequence chart, plus view a sample lesson either from that specific curriculum item or from the series. The scope and sequence chart identifies the lesson theme and the Bible or contemporary story used for each lesson in that publication. These can help the youth and family ministry department and the minister to coordinate Sunday school lessons and materials with the Sunday talks given to adults. To help you with your curriculum considerations, we have a Curriculum Selection Strategy worksheet. The Living Curriculum philosophy helps our children to process the lesson in an age-appropriate way and brings the lesson alive. Here is a printable overview of our curriculum and resources for your Youth & Family Ministry. You may also find our archive of the Education Links publication helpful. The best of the articles have been complied by topic in a PDF format. Note: We are moving toward digital downloads for all new curriculum and for all reprints. What a Wonderful World! This is a Bible-based, four-book series of 72 lessons. It also requires contemporary children's books. The themes are matched to the elementary Celebrating My God-Self series. Co-co the Wonder Bear puppet, Item #4502, is used throughout the series and only needs to be purchased once. The storytelling figures change from volume to volume. They are included in each kit (per volume) or can be purchased separately. We recommend laminating the figures to preserve them. All Together Now! is a multi-age program (ages 4-12) for the one-room Sunday school. Based on Unity's core beliefs, this program is user-friendly for the novice teacher/director, supplies are easily obtainable and inexpensive. Using multiple learning styles, activities are intended for a wide-range of ages to do together. Available as a download only. This series will eventually cover one year. Required resources: The Children's Illustrated Bible by Selina Hastings (see description below) and Chicken Soup for the Kid's Soul 2. Celebrating My God-self is a Bible-based, six-book series of 72 lessons. The themes are matched to What a Wonderful World! preschool series. Lessons are divided into two age levels: 6-8 and 9-10. Each lesson offers a choice of activities for each age group. If you have a one-room schoolhouse, you can follow the lessons for younger children, then repeat the series by following the lessons for the older children. That will give you three years of curriculum! Our required Bible resource is The Children's Illustrated Bible by Selina Hastings (DK Publishing), Feb 2004 version, ISBN 9780756602611. Available directly from publisher. (Warning: Later version is sized too small for classroom use.). All story questions are based upon that book's retelling of the story. Children on the Quest, four-book series of 48 lessons. Each lesson is story-based and includes several suggestions for teachers to choose from. Some required storybooks are available from Unity Worldwide Ministries. Children on the Quest Index facilitates finding concepts and stories within the four volumes of this curriculum. The Holiday Spirit: Elementary, Item #6822, seven lessons for holidays: Palm Sunday, Easter, Mother's Day, Father's Day, Thanksgiving and two for Christmas. Make a Difference, Item #6846, seven lessons on spiritual social action. Explores the meaning of diversity, creating peace vs. conflict, and making a difference in their environment and in their church. The lessons culminate with a church service project. Navigating Thru Change, Item #6845, eight lessons, guides preteens through looking at how they feel about change, how they respond to change, how they can choose change, and how they can handle changing family situations. Bring On the Basics!, Item #6844, seven lessons, helps preteens to examine, through using Unity's five basic principles, their beliefs about God and how their choices create their world. Choices and Consequences, Item #6843, seven lessons, explores how teens' attitudes affect their choices and the importance of listening for inner guidance. Each lesson of Choices and Consequences contains two creative experience options and two stories; the lesson can be used for two weeks. Fair Play, Item #6842, seven lessons, explores how to deal with others with an open mind and heart. Relationships, Item #6840, seven lessons, encourages preteens to build more effective relationships despite betrayals, changing friendships and broken promises. Self-Image, Item #6841-DL, eight lessons, examines the influences upon self-image from media, family, friends and within. Also includes instructions for leading a Heart Talk session. The Holiday Spirit: Uniteens, Item #6823, seven lessons for holidays: Palm Sunday, Easter, Mother's Day, Father's Day, Thanksgiving and two for Christmas. Unity Basics for Life, two-book series, 20 lessons total on Unity's five basic principles. Also recommended for young adults. Unity Basics for Life, Book 1, Item #6961, 10 lessons, invites teens and young adults to examine their spiritual beliefs. This issue covers concepts of God, Jesus and the law of mind action (Unity Principles 1-3). Unity Basics for Life, Book 2, Item #6962 10 lessons, covers prayer, meditation and living from the Truth we know (Unity Principles 4 and 5). Authentic Relationships, Item #6960, eight lessons, focuses on relationships between God and self, and self and others. Requires Chicken Soup for the Teenage Soul III, which can be ordered from Amazon.com. 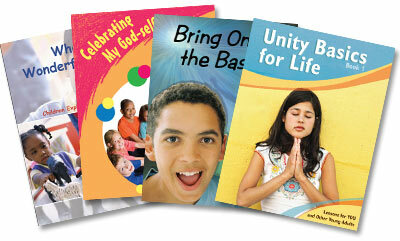 Small Group Ministry booklets are also valuable for this age group. Teens on the Quest series -This curriculum is designed for teens to explore life as a spiritual journey through use of story, discussion, prayer, meditation, and connection to their daily life. This series contains four volumes, Part I, Item #6770-DL, Part 2, Item #6777, Part 3, Item #6782, and Part 4, Item #6783. The Teens on the Quest Index is a free download, available here or within any one of Parts 1 thru 4 in the online Shop. Lessons in Truth for YOU, Item #1736, 12 lessons, by Bonnie Barron, based on the book by H. Emilie Cady. The Holiday Spirit: YOU, Item #6824, six lessons, covering Palm Sunday, Easter, Mother's Day, Father's Day, Thanksgiving and Christmas. 12 Gifts from God is out of print and is now available as a free download. You need Acrobat Reader to open and print these documents. Get it free at www.adobe.com.